We’ve all heard it before. “(Insert miscellaneous destination) is the new Bali”. But Indonesia’s Ministry of Tourism has actually locked in ten destinations that, it hopes, will boom just like Bali did around 20 years ago. From ancient temples and lakeside villages to remote islands and active volcanoes – these are not your typical beachy getaways. If you want to change up your usual Bali holiday, here are the places your should consider visiting next. The Thousand Islands region, officially Pulau Seribu, has been a well-kept secret among Jakarta locals for years. Just 90 minutes by speed boat from the city’s main harbour, it’s the go-to spot for a weekend getaway. Now that the Ministry of Tourism is shining a spotlight on this collection of secluded islands, you’re going to start seeing it pop up on your newsfeed a whole lot more. Despite what the name suggests, there are only around 130 islands. You won’t find the big hotel chains but there are a range of experiences to suit most families. Smaller islands offer home stays and boutique accommodation, giving visitors a taste of village life with the locals. Other islands are privately owned and offer resort-style accommodation. These are usually all-inclusive because of the remote location. A lot of islands also offer luxury glamping experiences where the only thing between you and the ocean is a sheer mosquito net, tucked around your bed. The Thousand Islands region is essentially Indonesia’s version of the South Pacific but less developed and more affordable. Lake Toba is actually more like an ocean. It covers a whopping 1,145 square kilometres, making it the largest volcanic lake in the world. 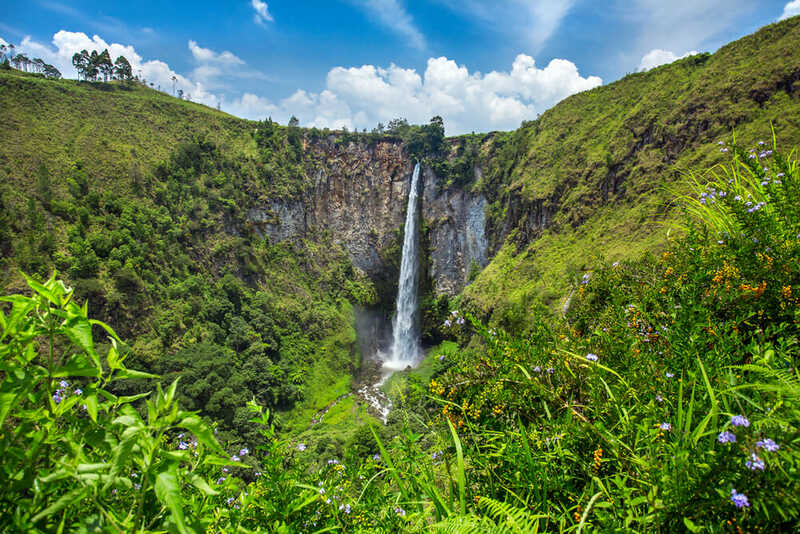 Elevated 900-metres above sea level, the cooler climate is a big drawcard for travellers who aren’t so keen on Indonesia’s intense humidity. Families will find plenty to do at Lake Toba. Water sports are huge – there’s kayaking, paddle boarding, jet skiing and even banana boating. The surrounding rainforests have a network of trails that lead to impressive waterfalls and natural hot springs. Back on dry land, families can visit a traditional Batak village and wander around the weekly market in Parapat. 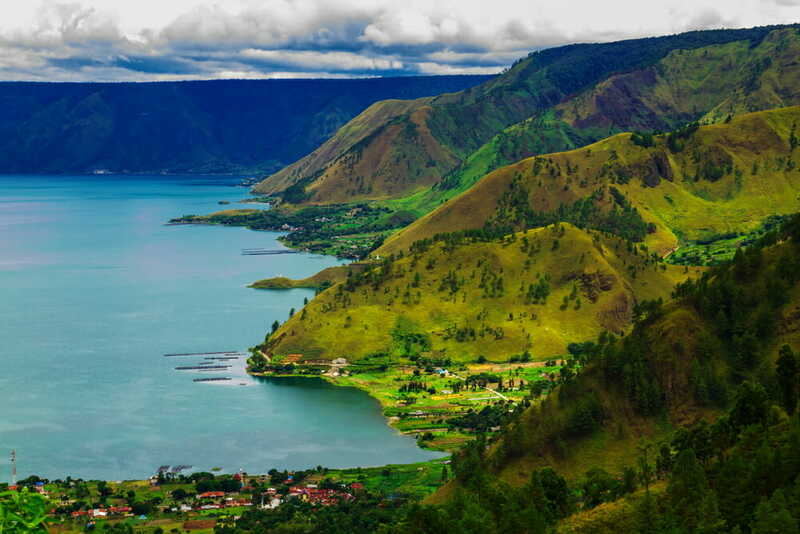 Lake Toba is on Samosir Island in North Sumatra. It’s a bit tricky to get to but we suspect this will change as the Ministry of Tourism works to bolster tourism in the region. From the airport in Medan (serviced by Jetstar, AirAsia and LionAir), it’s a 4-hour drive to the lakeside town of Parapat (approx $30 in a private car). You can then take a 30-minute ferry over to Samosir Island. Resort accommodation is extremely affordable so feel free to splash out. It’s a good idea to stay for a few nights to break up your long travel days. 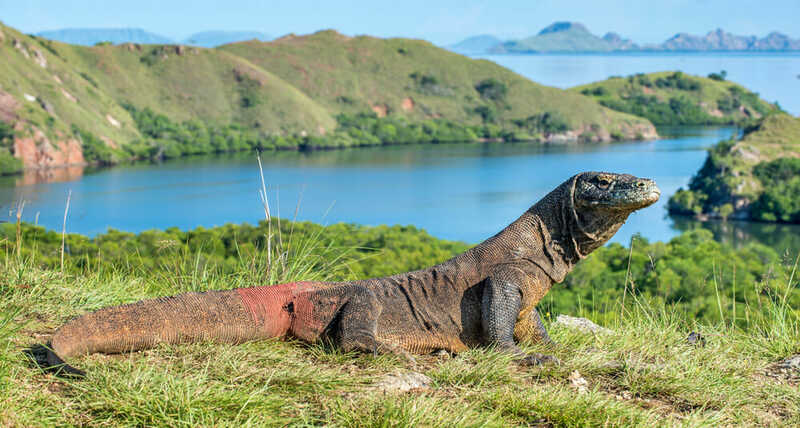 Most visitors come to Flores to see the largest lizards in the world in their natural habitat, but the scaley residents of Komodo Island are just one reason families should visit. The Island is located in Komodo National Park in East Nusa Tenggara (to Bali’s east). It has one of the only pink sand beaches in the world, brightly coloured coral reefs, and plenty of great hiking trails for all ages. Accommodation on Komodo Island is limited so most visitors stay in Lubuan Bajo and opt for a day trip to see the dragons. Other recommended day trips include a snorkelling expedition to the 17 Islands Marine Park and a visit to the Cunca Walang waterfall. 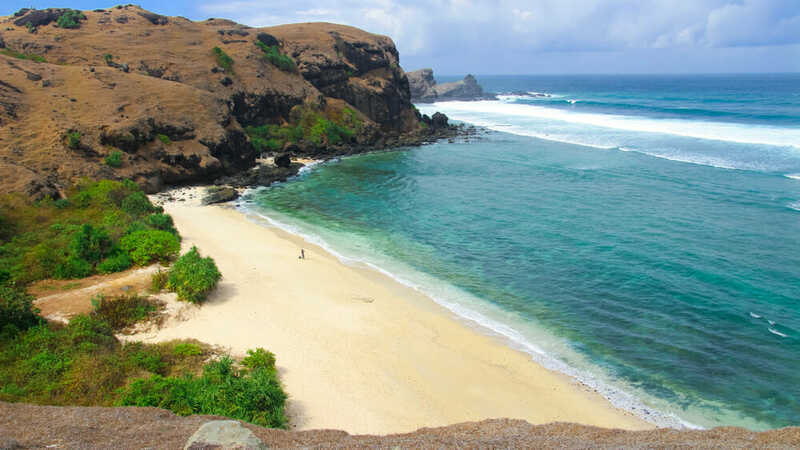 To reach the island, visitors will have to fly via Bali, then take a connecting flight to Labun Bajo on the island of Flores. From there, it’s a 2-hour boat trip through the National Park. If you want to get a bit more bang for your buck, join a tour or charter a private boat so you can take a more scenic route. These tours often make snorkelling and lunch stops along the way. Hiring a driver who doubles as a tour guide is a great way to see the island through a locals perspective. Borobudur is the largest Buddhist Temple in existence and is widely considered one of the Seven Wonders of the World. The 9th-century monument is ringed by a volcanic mountain range with a patchwork of farms and rural villages at its base. The rich, volcanic soil supports a thriving agricultural enterprise based around honey, rice and tofu production, but tourism is the region’s dominant industry. Over 4 million tourists visit the temple every year. As the Ministry of Tourism gets to work on it’s ‘10 new Balis’ campaign, that number is set to increase significantly. Borobudur looks like it’s straight out of an Indiana Jones movie. Kids will love exploring the ancient ruins and climbing to the top of the staircase to stare out over the rice paddies. Covering all corners of the temple complex will take up most the day but speedy sightseers may want to squeeze in a visit to one of the local villages. If you have a little more time, take the opportunity to experience rural life in Central Java. 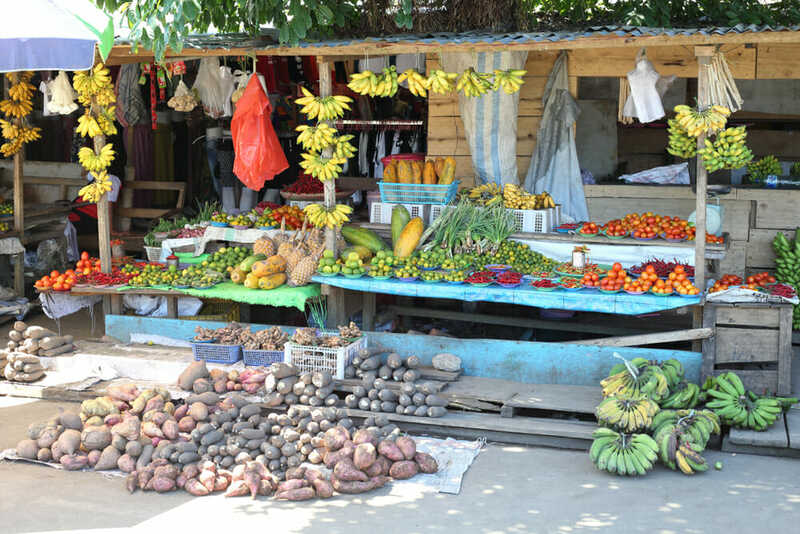 Spend a night or two at one of the region’s home stays or forest resorts and enjoy fresh local food and a chance to learn about daily village life. Most visitors stay in nearby Yogyakarta and book a day trip to the temple. Tours from Yogyakarta range from $100-$150, depending on inclusions. Some tours offer a bike ride around the countryside or scenic flights over the complex. Families have plenty of accommodation options in the city including well-known hotels, resorts and even Airbnbs. 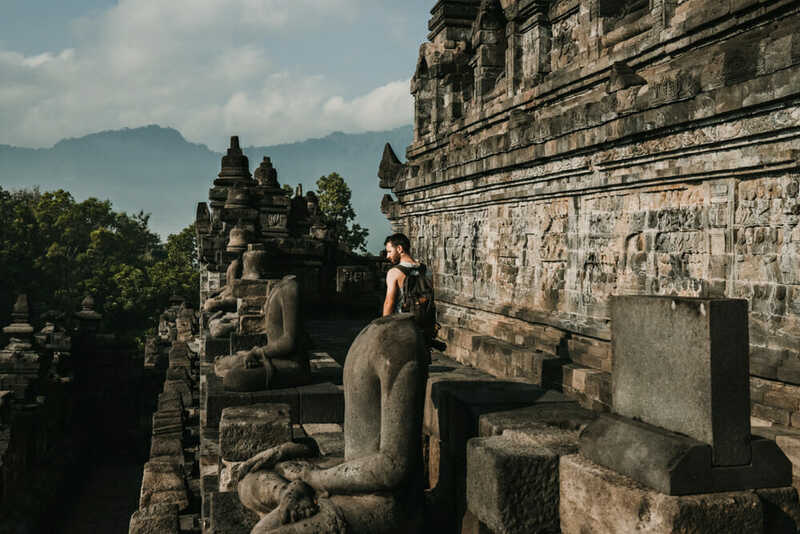 Flights from Australia to Yogyakarta typically include a stopover in Kuala Lumpur or Denpasar, Bali. 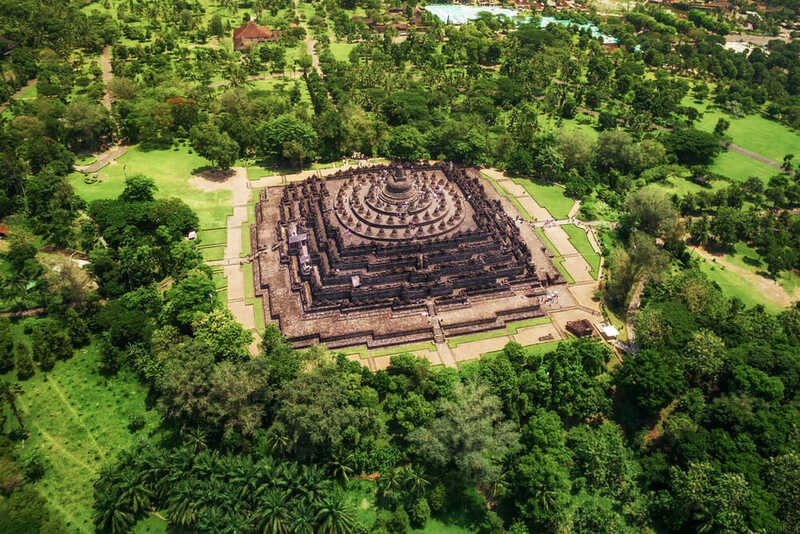 From the city, Borobudur is only an hour’s drive away. 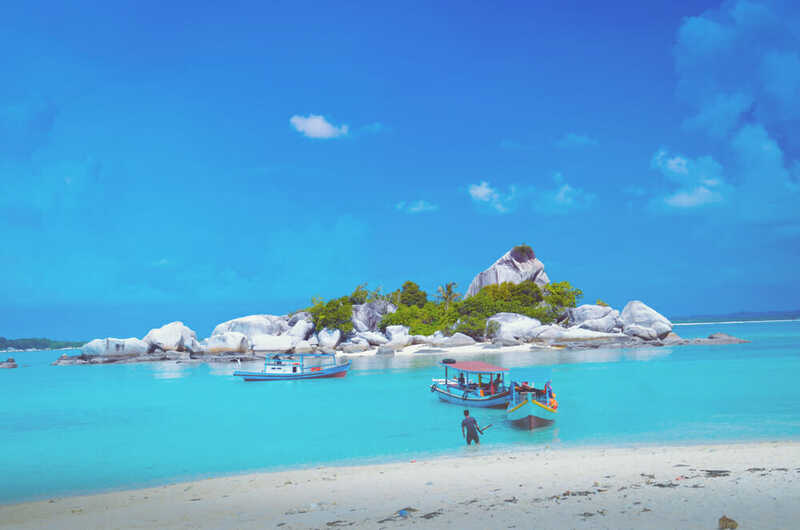 Travellers often compare Belitung to Bali and Lombok for it’s white sandy beaches and sparkling clear water but this small island in southern Sumatra has a fraction of the crowds. The island has remained largely untouched by the hand of mainstream tourism. Visitors can expect a quiet, unspoilt paradise with breathtaking natural wonders and authentic village experiences. 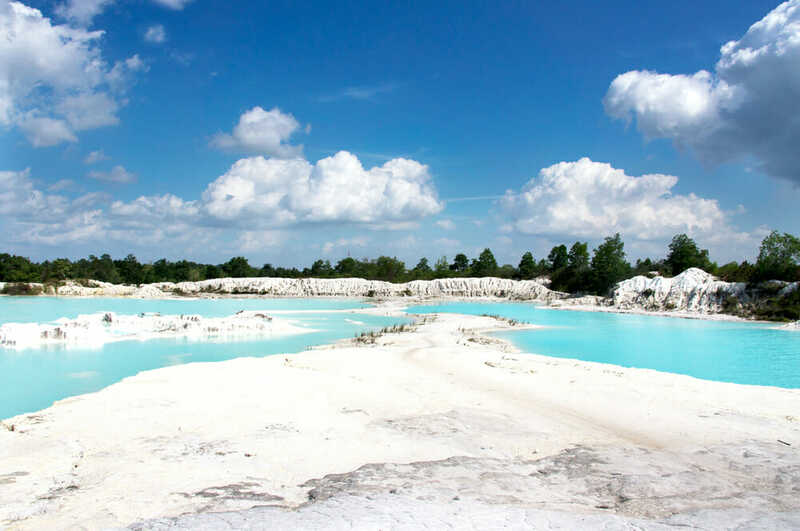 While Belitung’s beaches are some of the most beautiful in Indonesia, it’s the Blue Lake that will end up filling your camera roll. ‘Danau Kaolin’ is an abandoned kaolin mine that looks like it belongs on another planet. The rainwater reflects off the stark white kaolinite craters, giving it a beautiful opal hue. It’s a photographer’s dream, and a great place to stop for a dip. Belitung’s major airport is Tanjung Pandan. Flights from major hubs such as Singapore, Jakarta and Kuala Lumpur operate daily. Belitung is very small so travelling by taxi is fairly inexpensive. Street Taxi Belitung is the only licensed taxi service on the island and also offers island hopping trips at a significantly reduced rate compared to most hotels. Resort accommodation is extremely affordable so families may want to splurge on a luxury experience. Tanjung Lesung is a gorgeous stretch of beach in Banten province at the western tip of Java. The once sleepy coastal village is now a hub for holidaymakers, with a number of resorts and recreation activities on offer. The view from the beach is reason enough to visit – directly out to sea, the mighty Mt Krakatoa volcano looms in the distance. 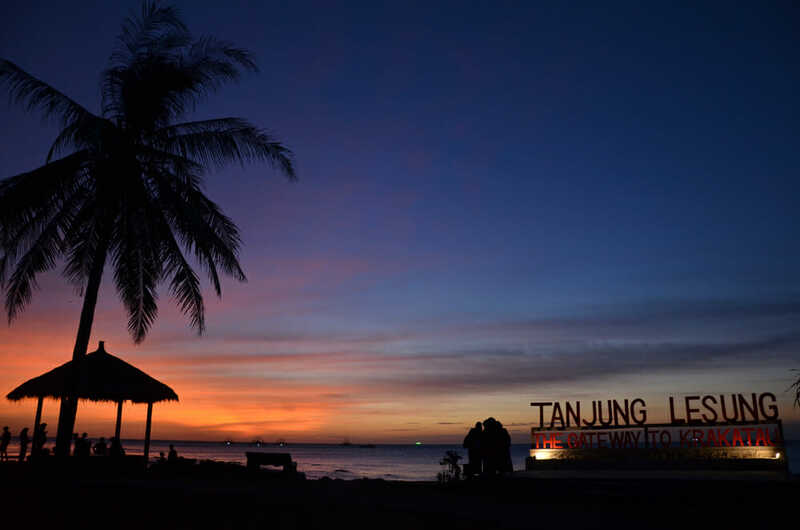 Despite its recent surge in popularity, Tanjung Lesung retains its laid-back charm. Palm trees line the sand, beach cabanas offer shade from the midday sun and the clearest water you can imagine swirls above a vibrant coral reef. It’s the perfect spot for families who want to hang out on the beach and do a whole lot of nothing for a few days. If you’re spending a few days in Jakarta beforehand, the slower pace of this beach town will be just what you need. Tanjung Lesung is a scenic 3-4 hour drive from the city, with plenty of spots to stop along the way. There is also a bus from Jakarta which is slightly longer but much cheaper than hiring a private car and driver. 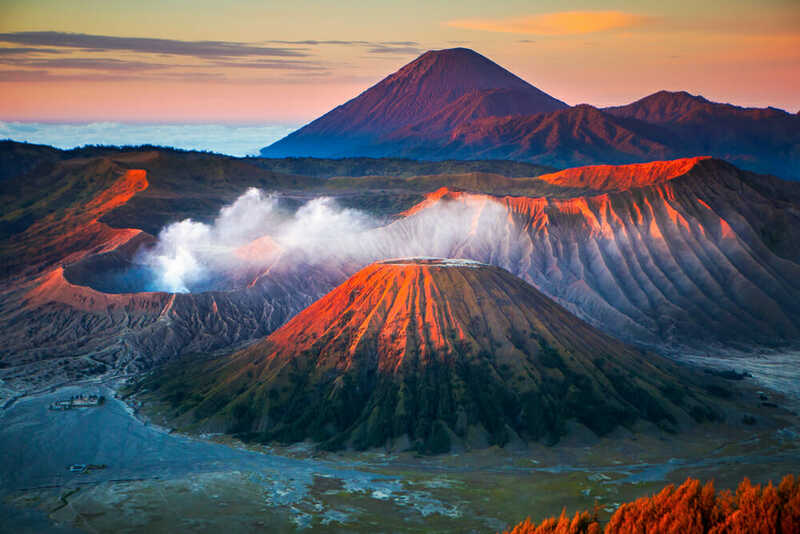 Mount Bromo is a small but mighty volcano located in Bromo Tengger Semeru National Park. It’s not the highest peak in the area but it is the most famous. Despite being a highly active volcano, the Mt Bromo summit is the most popular hike in Indonesia. The 2-hour journey isn’t terribly difficult so families with older kids won’t have any trouble making it to the top. 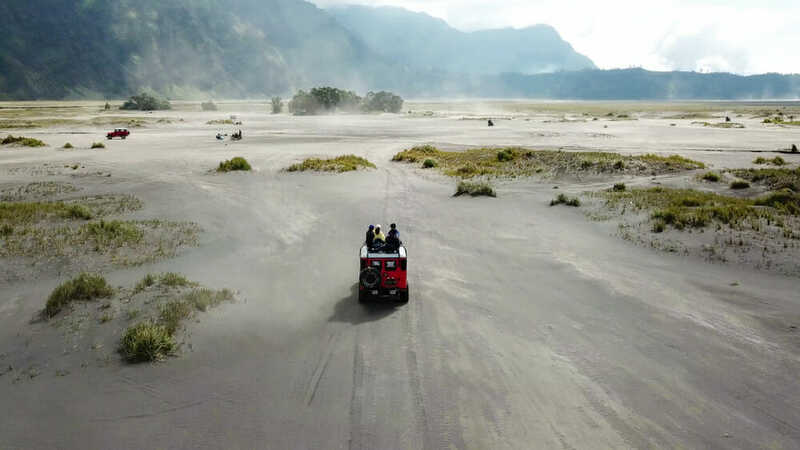 Mt Bromo is a 2-3 hour drive from Surabaya, the capital of East Java. Staying overnight is essential if you want to catch the sunrise over the volcano. It really is worth the early wake up. The morning mist gathers inside the huge crater at the base of Mt Bromo, while Mt Semeru sends up volcanic smoke in the distance. Families who aren’t keen on hiking can book a Bromo sunrise tour instead. Most tours stop at Pananjakan, a viewing platform, to see the sunrise, then continue on to Mt Bromo itself. Adrenaline junkies can hire their own 4WD and explore the Sea of Sand at the base of the mountain. Accommodation near Mt Bromo is not exactly a luxury affair. You won’t find a Four Seasons, but there are plenty of comfortable hotels and guest houses available. The closest hotels to Mt Bromo are in a village called Cemoro Lawang. They’re also the most expensive in the area – you pay for the privilege of having a direct view of the volcano. Visitors can fly direct to Surabaya from Singapore, Hong Kong, KL, Jakarta and Bali. From the airport, you can hire a driver or organise a group transfer to reach Mt Bromo. Mandalika is what Bali’s Kuta Beach was 20 years ago. Long strips of white sand, pumping surf breaks and a backdrop of lush hills covered in rainforest. The area is currently being transformed into an integrated resort area with everything from swanky 5-Star hotels to humble backpackers hostels. Of the 10 destinations put forward by the Ministry of Tourism, Mandalika has the most potential to really become the “new Bali”. Lombok is already a popular spot for Aussies, but most visitors tend to stay in Senggigi on the other side of the island. 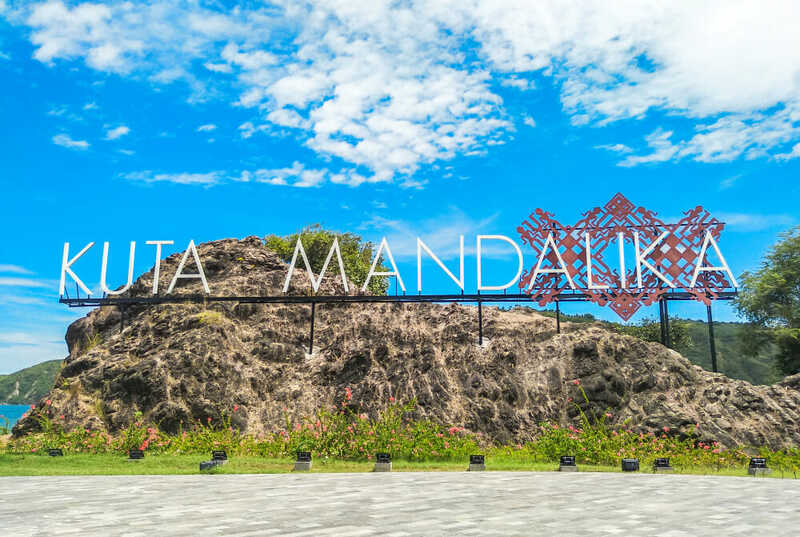 Mandalika offers a new place for families to try, while still offering the comforts of well-known hotel brands, vibrant nightlife and family-friendly attractions. Getting to Mandalika is fairly straightforward. Flights from Bali take around 30 minutes, but the boat ride over is way more fun. The ferry ride from Padang Bai Harbour to Lombok is notoriously bumpy. But passengers who can stomach the swell are rewarded with incredible views of Bali’s Mt Agung, still spitting ash after it’s recent eruption in October 2018. The Wakatobi Islands are dotted around the Banda Sea off the coast of Southeast Sulawesi. Wakatobi is actually an acronym of the four islands it comprises – Wangi Wangi, Kaledupa, Tomia and Binongko. The region is a protected World Heritage Site because of its 900,000 thriving coral reefs. 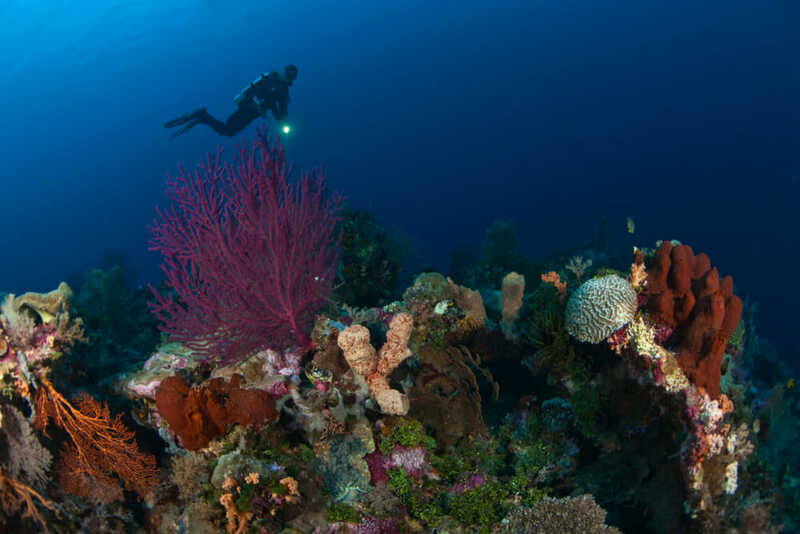 750 of the world’s 850 coral species can be found in the tropical waters of Wakatobi. Naturally, snorkelling and diving opportunities abound. Most resorts will have snorkel equipment for guests to use. Otherwise, you can purchase gear in the local mini-marts and street markets. Families can head out straight from the beach or book a boat trip with a local guide to explore the deeper parts of the reef. Those who take their underwater adventures a little more seriously can book a scuba diving expedition to get even closer to the action. Accommodation on the islands is super affordable. Guests houses and boutique resorts cost between $50-$80 per night. 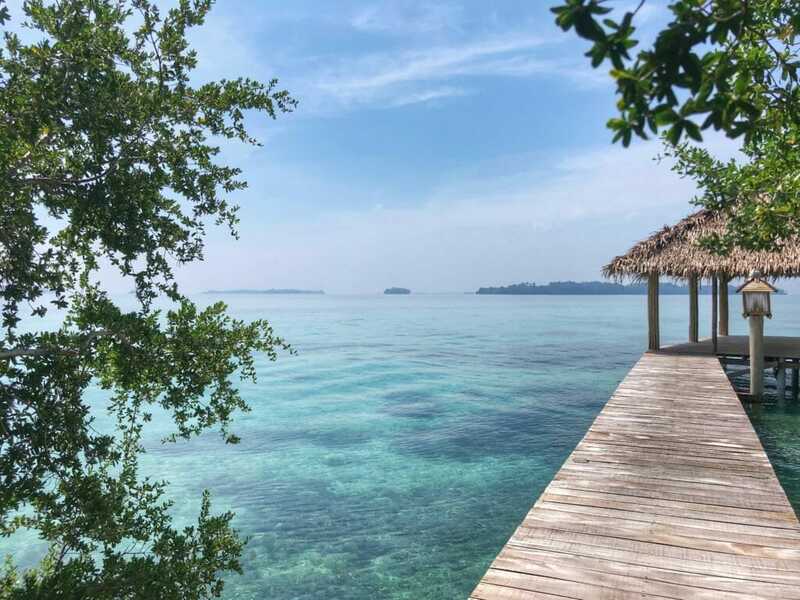 Wakatobi Dive Resort is a more expensive option, but you do get what you pay for – Gourmet meals, free WiFi and absolute beachfront bungalows. 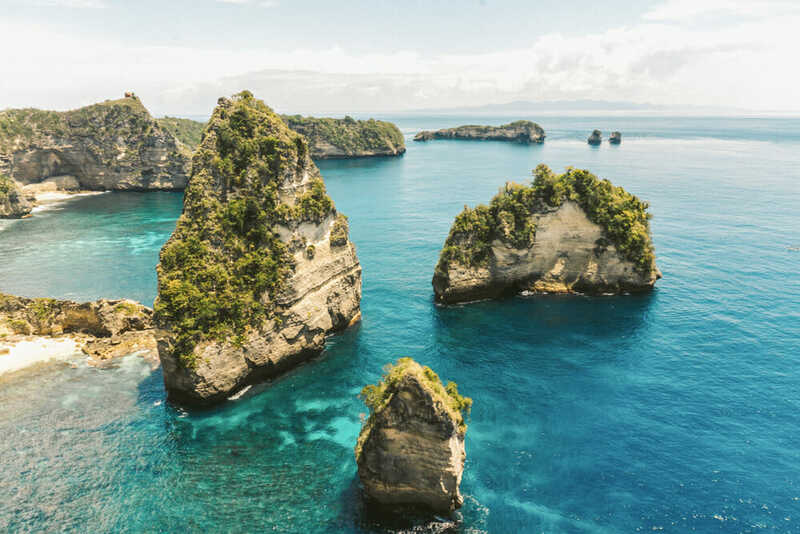 To get to Wakatobi, you’ll need to fly from Jakarta or Bali to Wangi Wangi, then jump on a boat to reach the other islands. Morotai is one of Indonesia’s northernmost islands. It’s covered in dense rainforest and framed by white sandy beaches. 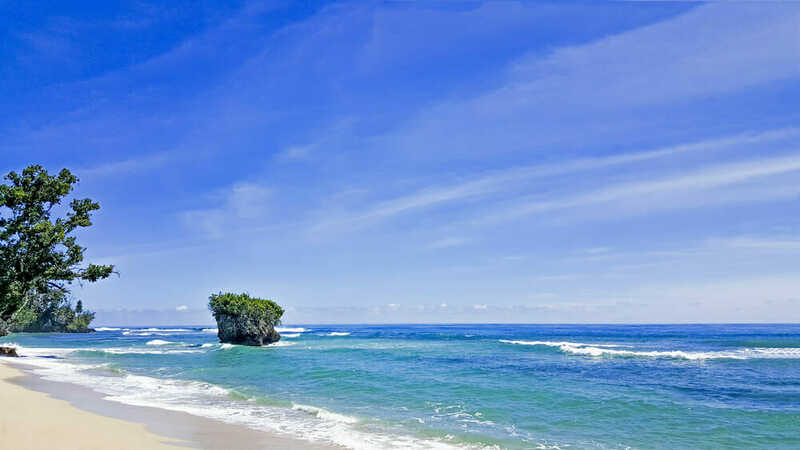 It forms part of the Maluka Island’s, better known as the ‘Spice Islands. A long way from the crowds of sun-worshipping tourists, Morotai is secluded and largely undeveloped – for now. 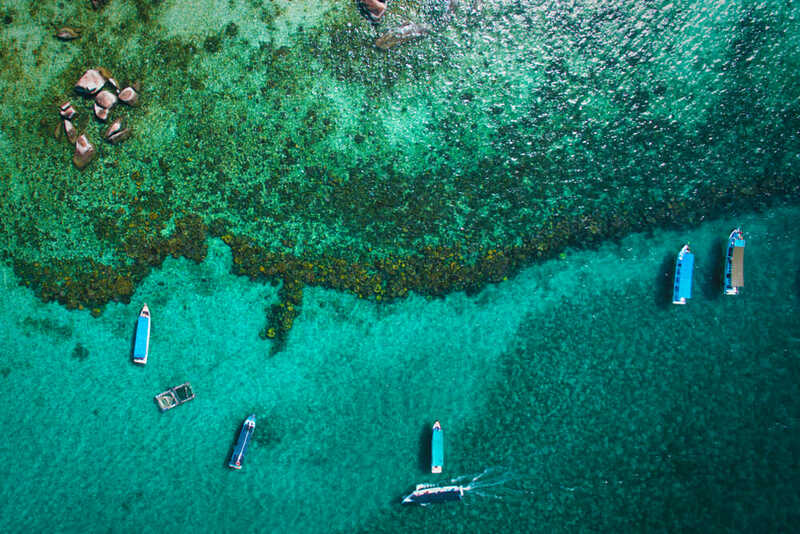 During World War 2, Morotai was a hive of military activity but you’d never guess that today. The island is a sleepy tropical paradise with fantastic surf breaks, an abundance of sea life and laid-back resort accommodation. The nearby Dodola Marine Park is a popular spot for snorkelling, scuba diving and fishing. You can even explore the wreck of a sunken war plane, submerged just off the east coast of the island. Accommodation is fairly limited on Morotai, but we suspect this will change as the Ministry of Tourism rolls out its “10 new Balis” campaign. Most hotels are located in Daruba while home stays and guest houses are dotted around the coastal villages. Visitors will have to fly to Ternate, serviced by Garuda, Lion Air and Sriwijaya Air, then drive to the port in Tobelo. From there, it’s a 2-hour ferry ride to the island of Morotai. As the Indonesian Ministry of Tourism rolls out its plan for the ’10 New Balis’, we’ll be keeping tabs to see how these destinations change. The biggest barrier appears to be accessibility. Navigating planes, trains, ferries and taxis may not be everyone’s cup of tea, but for some families, that’s all part of the adventure. Would you consider going beyond Bali for your next holiday?